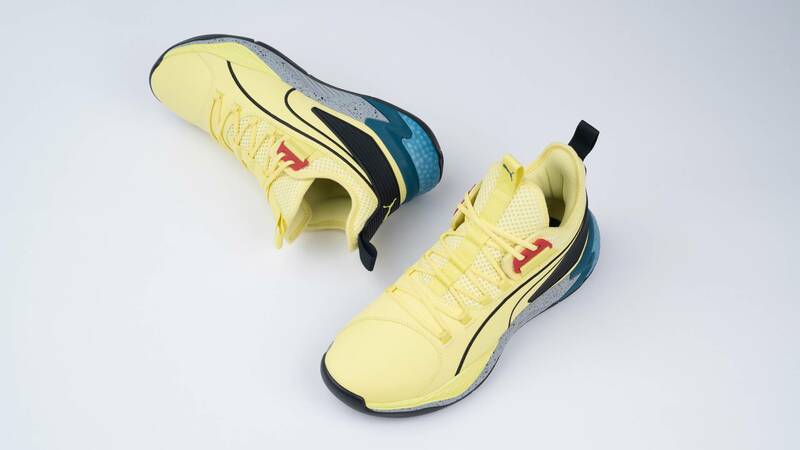 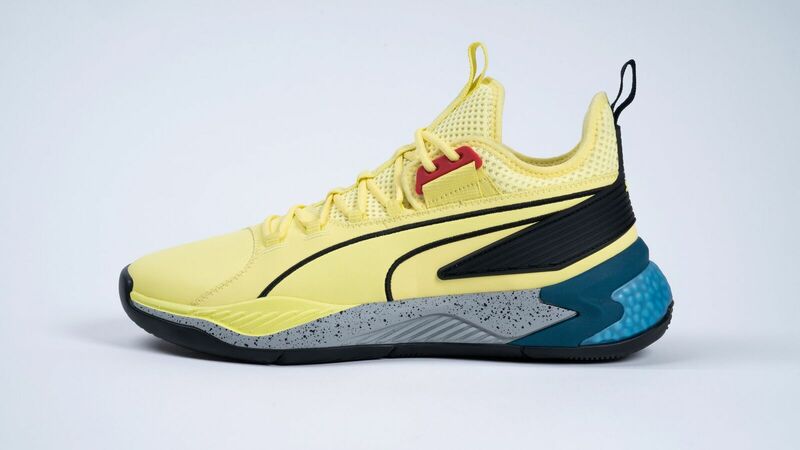 PUMA Basketball has today introduced the PUMA Uproar Spectra, equipped with a yellow colorway inspired by classic '90s styling. 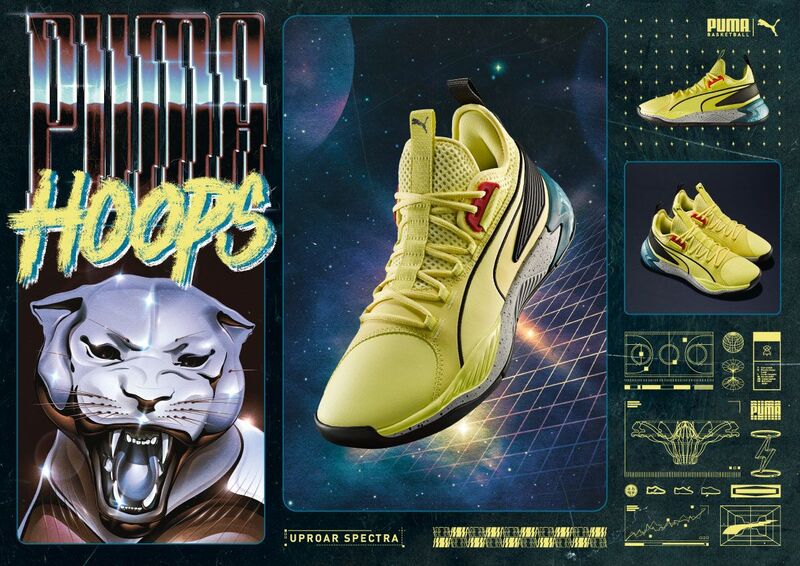 The kicks, price at $120, are officially set to debut online at PUMA.com and in-stores next Friday, April 12, just in time for the NBA playoffs. 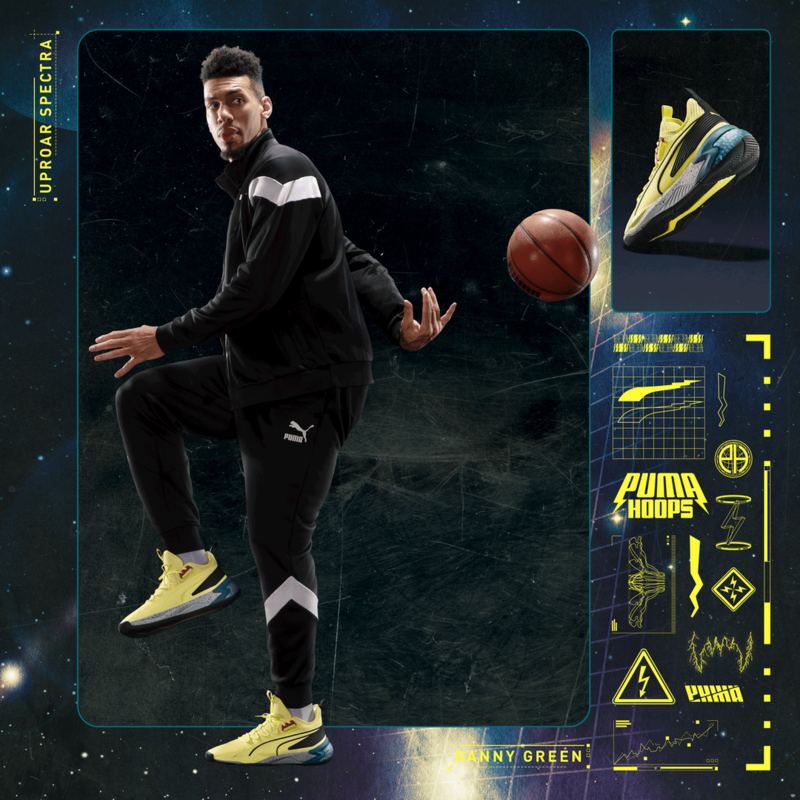 The PUMA Uproar Spectra, worn by Toronto Raptor guard Danny Green and Golden State Warriors center DeMarcus Cousins, is constructed from a premium synthetic nubuck material mixed with a breathable mesh collar. 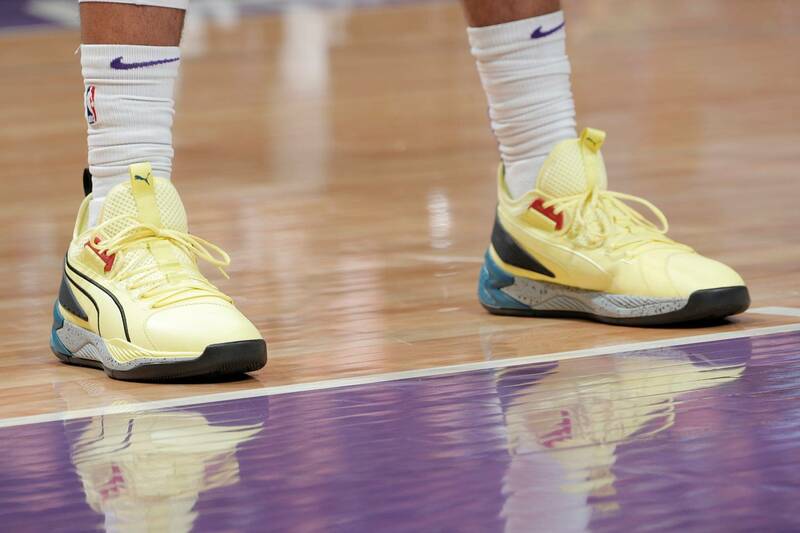 Take a look at some additional images below.